Rally in support of Oleg Sentsov and other Ukrainian political prisoners in Russia. Berlin, Potsdamer Platz, June 2018. Photo from the editorial archive.Lyudmila Sentsova and Larisa Kolchenko hug one another silently, both with tears in their eyes. This is their first meeting in the four years since their sons, Oleg and Alexander, were arrested in 2014. Lyudmila is askin g Larisa to tell her son to call off the hunger strike he began on 14 May, while her own son is three weeks into a hunger strike himself. Then the mothers call on Ukraine’s President Petro Poroshenko to do all that he can to have Alexander and Oleg released from Russian prison. Film director Oleg Sentsov and anti-fascist activist Alexander Kolchenko were arrested in May 2014 in Russian-annexed Crimea, and were charged with planning a terrorist act. In August 2015, a court in Rostov-on-Don sentenced Sentsov to 20 years in prison, 10 for Kolchenko. On hearing their sentences, they sang the Ukrainian national anthem in the courtroom. Larisa Kolchenko was in the courtroom that day in Rostov. The four years since have turned her into another woman. Before, she was a quiet person who avoided contact with the press, but observed the court proceedings silently and attentively, trying to work out what she could do and how she could help her son. Now she openly campaigns for the release of not just her Sasha, but other political prisoners as well. “I need to stay strong. I keep going, of course,” Larisa tells me when we meet in Kyiv. She is here for a meeting with the presidential administration, organised by families of Ukrainian political prisoners. “I never thought I would meet the president, but it happened today,” she says, tired out from the meeting and the press conference afterwards. Only the day before, she learned that Alexander had called his hunger strike off, for health reasons. “It was a real ordeal for both him and for me as his mother,” she says. “I was really worried. When I heard about it through the media, I went into shock.” Larisa was under a lot of pressure from the public prison watchdog in Chelyabinsk, where Alexander is serving his sentence. They kept phoning and trying to get her to force Sasha to stop. “It’s Sasha’s own decision, all I can do is support him in it,” Larisa tells me categorically on the phone. But she cheers up when she hears later that he has called his hunger strike off. 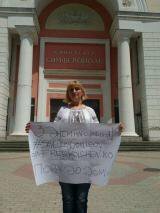 After her trip to Kyiv, Larissa is traveling to Crimea to get ready for her visit to her son in prison in Chelyabinsk, almost 3,000km away. “Three days is usual for a long visit,” she tells me about her rare visits to her son. “We’ll be together all that time. There’s hotel-style accommodation for visitors, with a kitchen for every ten rooms, a communal bathroom and separate bedrooms. When I come to visit, I bring food for three days and try to cook something tasty for him.” She hasn’t seen him for eight months, and her next scheduled visit has been postponed because of the hunger strike. After Larisa’s son was arrested, many of her relations dropped all contact with her. And at work, “they just put up with me”. “It all began with young Ukrainians in Crimea becoming politically active – going to protest rallies, supporting Ukrainian soldiers who were locked up in military bases. They fed them, collected money to buy uniforms and other necessities,” Olga Afanasyeva tells me, remembering the events that turned her son Gennady’s life, and her own, upside down. “I was worried, of course, tried, as his mother, to stop him, although I was proud of him at the same time.” Olga was then a successful businesswoman, the owner of a travel agency living in Crimea’s capital Simferopol. She learned of her son’s arrest on the evening of 9 May 2014. At that point, Olga was alone in a completely new situation. Her son, along with Alexey Chirny, Oleg Sentsov and Alexander Kolchenko had been accused of membership of a terrorist guerrilla group that was supposedly planning terrorist acts in Crimea. 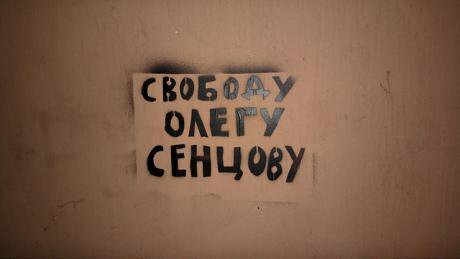 Afanasyev and Chirny were beaten into making statements that formed the basis for the charges against Sentsov and Kolchenko. In return, they were given “mild” sentences of seven years. Later, Gennady Afanasyev showed his courage by reneging on his statements and telling the court that they had been made under torture. He also described the torture. It didn’t help Oleg or Sasha, though – their sentences weren’t reduced. In June 2016, Gennady Afanasyev was able to return to Ukraine, thanks to an amnesty from Vladimir Putin, also received by another political prisoner, Yuri Soloshenko. Two others, journalists Elena Glischinskaya and Vitaly Didenko, who had been charged with separatism and treason in Ukraine, were released the same day and deported to Russia. 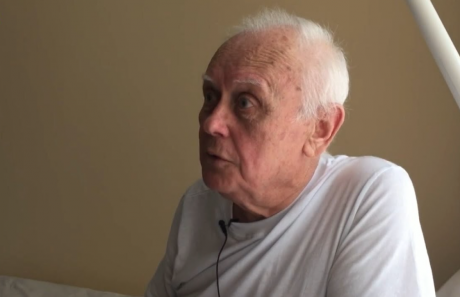 Yuri Soloshenko. Source: YouTube.“It all seemed like a terrible dream. I couldn’t imagine that a 23-year-old lad would be behind bars for such a length of time for no reason,” Olga says. She remembers sending Gena his first parcel, when he was still in pre-trial detention in Simferopol. She remembers how the lawyer appointed by the court tried to get a bribe out of her. She remembers her FSB interrogation and the search at her flat in her absence. Then Lefortovo prison and the trial. Olga also remembers her son’s letters: “Don’t worry, Mum, I didn’t do anything, you don’t have to be ashamed of me – things happen. I didn’t kill anybody.” She says that the letters are a big help in keeping her strong. The day that Gena withdrew his statements was like “a second Victory Day” from Olga: “I was in shock all over again: I didn’t know where to turn, what to do, who to phone. I had no connections, after all. But I had to get my act together, to go on with my life. And my next task was to ensure that the name ‘Afanasyev’ became known. I realised that was the only way I could get him back.” So Olga made a plan: she would come to Kyiv every six weeks, hit the airwaves, do the rounds of every Ukrainian ministry and write to the ombudspersons of both Ukraine and Russia. Human rights activists started helping her and she got to know other political prisoners’ mothers. Then she had the idea of organising an exhibition of Gena’s work in Kyiv: he was a keen photographer. Holding back her tears, Olga would talk to everyone who visited the exhibition about her son and what had happened to him. She lived like this for over two years. Talking about Gena’s release, she says, “I had a lot of luck” but also talks about “teamwork”. “At that time Syktyvkar, in the Komi Republic, had very good human rights activists who were really engaged with establishing truth and justice. They went to the prison colony and worked on its director. After Gena was released, he and Olga began a new life, in Kyiv. They couldn’t return to Simferopol, where Olga was under open surveillance by the FSB. Olga is still engaged with issues around political prisoners. She supports other families in the same situation as she was in and goes to rallies in the defence of Ukrainians who are in Russian prisons for political reasons. Olga is thinking about leading a “peaceful life”: she feels she’s starting to burn out and realises she can’t go on as before. “Gena and I have been discussing this. It’s impossible to forget. It’s like a stamp, a brand on your whole life,” says Olga, who is still supporting her son though his difficult process of rehabilitation. A trial of two other Ukrainians, Stanislav Klykh and Mykola Karpyuk, took place in Chechnya in March 2016. According to the the Russian police, the two were members of the ultra-nationalist UNA-UNCO (Ukrainian People’s Assembly – Ukrainian National Solidarity Organisation) and fought against Russian forces in 1994-1995. Both men were tortured to make confessions and Stanislav’s health was affected. This was very obvious at the trial – his speech was often disconnected. His mother, Tamara sat through the whole thing at the age of 70. “No, it wasn’t a difficult decision to go to Chechnya. I love him so much, it was as simple as that,” she says. She spent 10 days in Grozny at the time. “I turned up at the office of the guy in charge of the pre-trial detention centre; there are portraits of the Kadyrovs, father and son, on the wall, with one of Putin below. I naively asked him why they were hung like that: ‘Putin’s the main man, why is he underneath?’ ‘Is there anything else you’d like to know?’ he asked in reply. That was it, I shut up. I thought I was among friends, but I wasn’t,” Tamara recalls. Larisa Kolchenko speaks out in defense of her son and other Ukrainian political prisoners in Russia. Photo courtesy of the author.In July 2017, Tamara Klykh met the mother of Russian soldier Viktor Ageyev, who was detained by Ukrainian forces in a Kyiv-controlled sector. A Ukrainian district court found him guilty of involvement in a terrorist organisation and illegal militant group and possession of firearms. The expectation was that after sentencing, Ageyev would be exchanged for a Ukrainian political prisoner. The two mothers, Klykh and Ageyeva, produced a joint video appeal to Poroshenko and Putin, asking them to return their children, pardon them and put a stop to the war. “I brought a box of ‘Evening in Kyiv’ chocolates with me, and we immediately hugged one another,” says Tamara. “Her son was here, mine was there. We chatted, got on well together.” But the emotional appeal they made together didn’t please everyone and they attracted some criticism. Tamara and her son were very close, she tells me. So the worst time for her was when she couldn’t find him for ten months after he was arrested in Oryol in August 2014. “I didn’t know whether he was alive or not. We knew that they were being transported to Yessentuki, in Stavropol Krai, but that was it.” Tamara phoned the Ukrainian Consulate in Rostov-on-Don every day, to find out at least some news about Stas. In those days there were no human rights NGOs to help, and Tamara was taken in several times by conmen promising to bring her son home. “But I can’t do it now. My feet get so sore!” Tamara complains. She also has headaches and heart pain. The doctors can’t help, they say it’s all nerves. Tamara was still working a few years ago, when she was 72 – she was works manager at a children’s hospital in Kyiv. She tells me that she was highly regarded and serious about her work. After Stas was arrested, work had to take second place, but the hospital didn’t make her retire. “The medical director pleaded with me to go on working. She didn’t want to let me go, but I didn’t feel right, just turning up. I came to work in pain and left work in pain,” says Tamara, gratitude in her voice. The hospital staff have supported her throughout, keeping her spirits up and collecting money for her when she needed it. “If only I was ten years younger. I was always young for my age, but these last four years have aged me a lot. And used to feel very good about myself, I looked good. But the years have passed. I want to see Stas released before I die, who else will help him?” she says, barely holding back the tears. Her health is not so good now, so she increasingly tends to talk to journalists over the phone rather than going to protests and meetings. Only nine Ukrainian political prisoners have been released since the start of the Donbas conflict. There are 71 still behind bars. They are Gennady Afanasyev and Yuri Soloshenko, as well as Nadiya Savchenko (she was exchanged for two Russian military intelligence officers, Alexander Alexandrov and Evgeny Erofeyev, captured in Donbas). Akhtem Chiigoz and Ilmi Umerov, members of the Crimean Tatar Mejlis (national assembly) were freed thanks to intervention from Turkey, while Yuri Ilchenko managed to escape from house arrest in Crimea. Yuri Yatsenko and Alexander Kostenko returned to Ukraine when they finished their sentence and Khaiser Dzhemilev, the younger son of the Crimean Tatar leader Mustafa Dzhemilev, has also been freed. The families of the political prisoners are doing all they can to affect the situation using all the legal tools at their disposal, and they are also creating new ones. They have set up their own organisation, and also succeeded in creating a Presidential council which will address issues around the release of political prisoners in Russian jails. They have in addition been working with human rights campaigners to produce a new draft law on political prisoners and will be pursuing it through parliament. And Igor Grib, the father of Pavlo Grib, who is being tried in Rostov-on-Don on a charge of planning a terrorist act in Sochi, has applied for and been appointed head of the department dealing with issues around prisoners at Ukraine’s Ministry for Temporary Occupied Territories and Internally Displaced Persons. 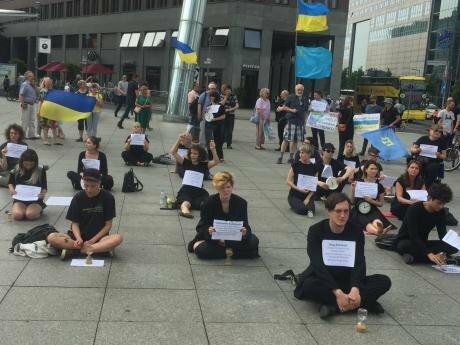 In August, Ukraine brought an action before the European Court of Human Rights (ECHR) over the infringement of the rights of Ukrainian political prisoners, listing 71 cases and the names of the Russian officials dealing with them. The Ukrainian Ministry of Justice believes this will help convince its international partners to use additional personal sanctions against the Russian government. “Freedom to Oleg Sentsov”. Graffiti on the wall in St. Petersburg. Photo CC BY-SA 2.0: Oleg Kuznetsov / Flickr. Some rights reserved.But meanwhile, all the prisoners’ families can do is protest and publicise the issue. The exchange process is not in their hands, and it has already been on hold for nearly a year. The longer the Kremlin stays silent and refuses to release the Ukrainian political prisoners, the more desperate the measures taken by their friends and relatives. In June, Raime, the mother of the Crimean Muslim Nuri Primov, who has been convicted of involvement in a terrorist organisation, went on hunger strike, demanding her son be included in an exchange list (she called the strike off in July because of a serious risk to her health). The prisoners themselves have also resorted to extreme measures, the only way, they feel, they can assert their rights. On 16 May, not long before Russia hosted FIFA 2018, Oleg Sentsov began an indefinite hunger strike which has been supported by other political prisoners and activists and arts figures from around the world and was a subject of discussion at a recent meeting between Angela Merkel and Vladimir Putin. Sentsov was forced to end his hunger strike on 6 October under threats from the Russian penitentiary service. His health is still in great danger, and there has been no answer to the question: when will Ukrainian political prisoners be released?